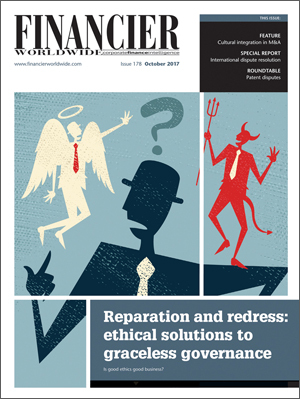 In the nearly 60 years since the Convention on the Recognition and Enforcement of Foreign Arbitral Awards (New York Convention) entered into force, several factors have come to influence the reliability of international arbitration as a forum for resolving disputes. Key among these are the power and quality of tribunals, the conduct of advocates and parties, cost issues and the time required for enforcement of the arbitral award. As a result, each of these issues are considered here in the context of recent developments to determine whether and to what extent international arbitration is a reliable forum for dispute resolution. In arbitration, where the parties’ choice of decision makers sits at the heart of the process, parties have increasingly found themselves subject to the problem of ‘due process paranoia’ of their own nominated decision makers. A recent 2015 Queen Mary University of London (QMUL) international arbitration survey identified due process paranoia as arbitrators’ failure “to act decisively in certain situations for fear of the award being challenged on the basis of a party not having had the chance to present its case fully”. This often results in tribunals indulging repeated requests for extensions, late amendments to the written case or the late introduction of evidence. The familiar response of tribunals is to allow such steps on the basis that granting time for a reply or an adjournment will suffice as a cure, when in fact the timely and fair disposition of the dispute has been compromised. There are, however, signs of a turnaround. In late 2016 the Singapore International Arbitration Centre (SIAC) amended its rules to provide for the early dismissal of a claim or defence that is manifestly without legal merit, or manifestly outside the jurisdiction of the Tribunal. Such changes are welcome and will invariably be included in revisions to other institutional rules. The International Chamber of Commerce’s 2017 revision of its rules also included an expedited procedure for smaller claims and halved the time for tribunals to settle the Terms of Reference. Most institutions’ rules also now make provision for urgent relief from emergency arbitrators before the tribunal is formally constituted. Importantly, these changes signal to tribunal members that, if at the extreme end an entire claim or defence can be dismissed, then other matters, such as curtailing endless document production, enforcing deadlines and holding parties to their written cases, are expected of them. To move in this direction, tribunal members must also more readily make enquiries into such matters at an early stage of the case. In terms of tribunal quality, there is little substitute for party autonomy, with the ethos that a nominating party is always right in its own choice continuing to have enormous weight. However, just like in any market, users’ decision making can be influenced. The repeated appointment of high-profile arbitrators can be problematic to the extent it leads to a limited pool of arbitrators taking on more appointments than will allow them to give timely attention to each case. As such, more can be done to recognise a broader pool of talent. Initiatives such as the 2015 Pledge for Equal Representation in Arbitration of women are therefore positive developments. The London Court of International Arbitration (LCIA), which itself signed the Pledge, recently reported an increase in the number of female arbitrator candidates selected by the LCIA Court, up to 40.6 percent in 2016 from 28.2 percent in 2015. The cross-border nature of arbitration means that there is not a readily deployable one-size-fits-all approach to the issue of regulating advocates in international arbitration. This led the International Bar Association to introduce its own Guidelines on Party Representation in International Arbitration in 2013, followed by the LCIA, which annexed its General Guidelines for the Parties’ Legal Representatives to its 2014 rules. The LCIA's guidelines must be agreed to by representatives and can be enforced by the tribunal. The need for such guidance cannot be doubted. Recently, the English High Court in Symbion Power LLC v. Venco Imitiaz Construction Company considered a situation where a party-appointed arbitrator emailed the appointing party’s counsel to complain about the conduct of the tribunal’s chairman. The email was not disclosed in the arbitration by the arbitrator or receiving counsel. The High Court was “astonished that such an e-mail was sent” and affirmed that “party-appointed arbitrators patently do not represent the party that appointed them”. A more extreme case occurred in 2015 when the arbitrator nominated on behalf of Slovenia engaged in discussions with one of Slovenia’s legal representatives about the tribunal’s confidential deliberations in a border dispute between the Republics of Slovenia and Croatia before the Permanent Court of Arbitration. While the Slovenian Tribunal member and legal representative were named, and subsequently resigned, this was the result of leaks and media attention, whereas typically such occurrences go undisclosed. Therefore, while the LCIA regime of regulation through institutional rules is a positive development, a next step would be for institutions to name representatives that have had orders made against them for breaching imposed standards, as well as removing them from the institution’s roster of arbitrators. Since advocates also often act as arbitrators, such a system would provide a powerful incentive to act appropriately. In the event of sanction, publication of advocates’ names would be informative in the same way as public reprimands in other professional contexts, while still maintaining the confidentiality of the arbitration itself. The 2015 QMUL Survey also identified cost issues as “arbitration’s worst feature”. Such feedback cannot be ignored and is related to the second most disliked feature of arbitration in the survey, namely the lack of effective tribunal sanctions. Therefore, working on tribunals’ ‘due process paranoia’ will assist in reducing costs. The conduct of advocates can also increase costs and thereby counsel, by working together to narrow issues, can help save costs or even help achieve settlement. To this end, mediation is also increasingly playing a role in international arbitration cases, particularly where the issues and initial evidence have been ventilated in the arbitration process. Complex disputes will, however, remain difficult to resolve and that is a factor in the costs incurred. Arbitration is likely to retain an overall advantage to litigation in international disputes, as under most institutional rules, merits appeals are eliminated. Reducing appeal costs is a significant reduction of the dispute risk and cost. While enforcement of arbitral awards in some jurisdictions might appear to have appeal-like elements, such enforcement costs should be weighed as part of the cost benefit analysis of worldwide enforceability, which is not available in litigation. Enforceability was identified in the 2015 QMUL Survey as the most valuable characteristic of international arbitration. In many cases, the party ordered to pay will pay the amount awarded, particularly between parties who continue to work together or operate in the same sectors or locations. In other cases, formal enforcement action becomes necessary. Frustratingly, the time for such enforcement varies greatly from case-to-case, yet it is important for it to be factored in at the commencement of each case, along with other risk and merit assessments. Horror stories of enforcement delays abound, including cases such as IPCO (Nigeria) Limited v Nigerian National Petroleum Corporation, where an arbitral award rendered in 2004 and valued at over $340m was still subject to an enforcement stay in England in 2015, as the losing party was claiming fraud in the courts of Nigeria, being the seat of the arbitration. On appeal, the English Court of Appeal ultimately refused to abet endless delays, finding that since the challenge in Nigeria was not likely to be resolved “for up to a generation from now”, it would be absurd for the Court to continue the stay on the basis of the Nigerian challenge alone, as it determined the New York Convention “was intended to foster international trade by ensuring a relatively swift enforcement of awards and a degree of insulation from the vagaries of local legal systems”. In the end, contested enforcement is part of the friction of an international legal order that, in the absence of voluntary compliance, is reliant upon national legal systems for final enforcement. Such friction, however, remains preferable in international disputes to judgments rendered by courts that cannot compel compliance beyond national borders. International arbitration is a reliable forum for dispute resolution as a result of its continuing change and innovation. While the full effects of recent developments discussed here remain to be seen, the direction of travel is sufficiently positive to address issues that have emerged and prepare international arbitration for other challenges ahead. As courts have found, the role of arbitration is to foster international trade and that role is underwritten by arbitral institutions, courts, arbitrators, advocates and parties alike. The competitive diversity of stakeholders in international arbitration is the cornerstone of its adaptability and constitutes the force that is best placed to ensure it remains a reliable forum for dispute resolution. James Bremen is a partner and Adam McWilliams is a senior associate at Quinn Emanuel Urquhart & Sullivan LLP. Mr Bremen can be contacted on +44 (0)20 7653 2270 or by email: jamesbremen@quinnemanuel.com. Mr McWilliams can be contacted on +44 (0)20 7653 2052 or by email: adammcwilliams@quinnemanuel.com.